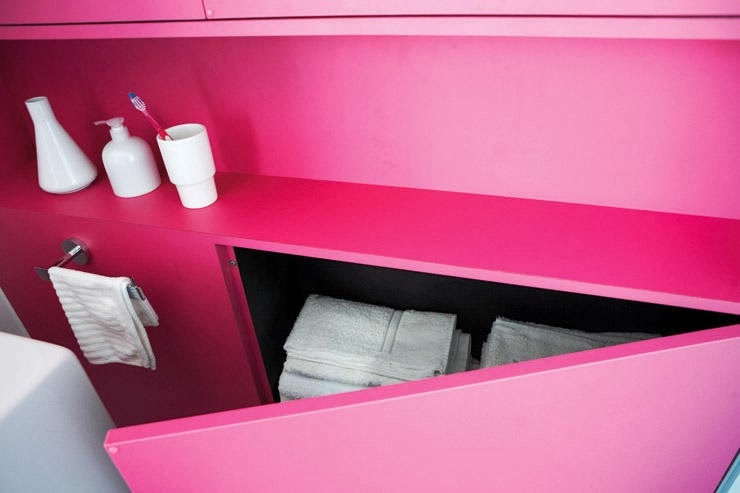 When I saw this fantastic bubble gum pink bathroom all I could think was Yes, Yes, Yes! 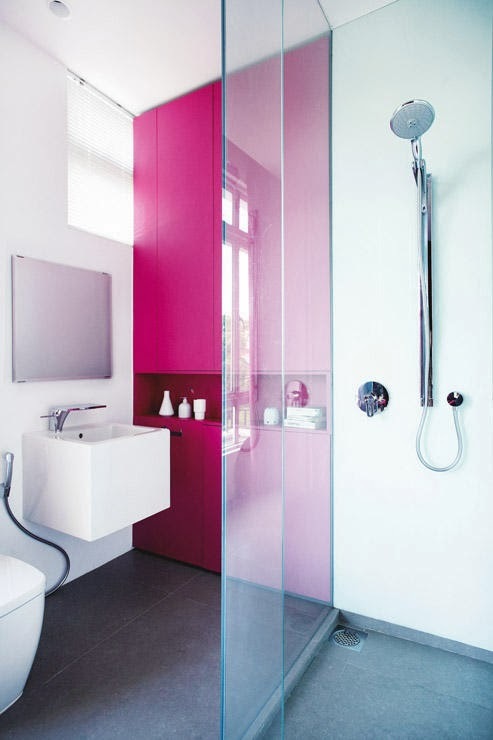 This is how you add pink to a bathroom and keep it fresh and modern! 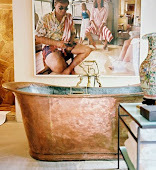 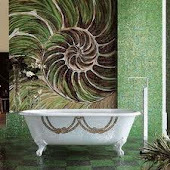 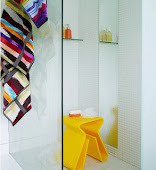 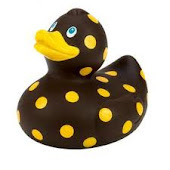 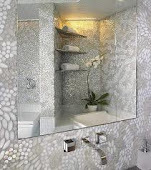 It is such a lively, fun and neat looking bathroom I don't know who wouldn't love it. 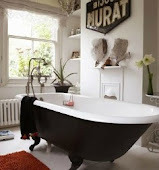 It is pink perfection in my mind. 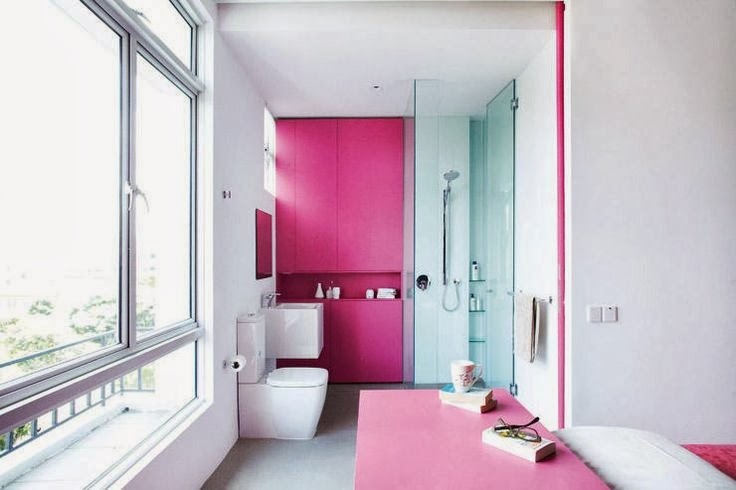 The bright white of the walls, white shower, toilet and sink just make the pink pop perfectly. 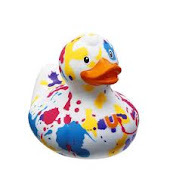 what about adding some art? 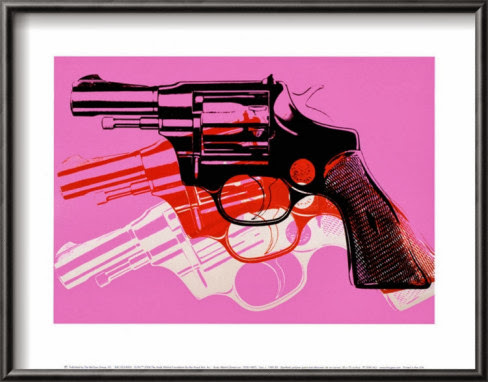 pink gun print would look fantastic either in a white or a black frame.